Following the three preceding shows, which established the prestige of Pinta New York, Pinta London participates in the process of globalization of modern and contemporary Latin American art through a program that includes around fifty renowned galleries, as well as curatorial strategies and visions that broaden the artistic projection of the continent. LONDON.- The inauguration of the first Pinta London Art Show, from 4-6 June 2010, at Earls Court Exhibition Centre, will open a new chapter in the global expansion of Latin American art. Following the three preceding shows, which established the prestige of Pinta New York, Pinta London participates in the process of globalization of modern and contemporary Latin American art through a program that includes around fifty renowned galleries, as well as curatorial strategies and visions that broaden the artistic projection of the continent. Pintas Museum Acquisitions Program is the leading program of its kind. Through a matching funds system, it incentivates the commitment of important institutions regarding the acquisition of Latin American artworks, from participating galleries that exhibit at the show. This year, following the precedent established by Pinta New York, Tate Modern, the University of Essex Collection of Latin American Art, the Centre Georges Pompidou, Paris, the Museo Nacional Centro de Arte Reina Sofía, Madrid, the Museo de Arte Contemporáneo de Barcelona, MACBA, and the Middlesbrough Institute of Modern Art, MIMA, England, will enrich their permanent collections through the incorporation of new Latin American artworks. The show will also feature a space for art projects selected by Pablo de la Barra, who has invited 15 galleries to present one-person exhibitions. This will allow the public to have closer contact with works by such artists as Lucía Nogueira, Jaime Gilli, or David Lamelas, selected by their respective London galleries, as well as Anthony Reynolds Gallery, Riflemaker, and Spruth Magers. Other key Latin American artists, such as Gonzalo Lebrija (Travesía Cuatro, Madrid) or the collaborative duo Dias & Riedweg (Filomena Soares Gallery, Lisbon), will be represented by galleries from Germany, Spain, Portugal, the United States, Mexico, Chile and Argentina. Pinta London will also host two significant exhibitions. The first is a tribute to Carlos Cruz-Diez, the Venezuelan master painter who transformed the use of colour and the de-materialization of the surface into a playful and participative experience, and secondly an exhibition of the Cuban artist Carmen Herrera, whose belated discovery has rendered her the revelation of the decade in terms of the reinterpretation of geometric abstraction in Central and South America. Collectors who have expanded the international panorama of Latin American art, such as Estrellita Brodsky, Rosa de la Cruz , Ella Cisneros, Tiqui Atencio, and Tanya Brillembourg, among others, comprise the Host Committee of Pinta London, will present emblematic works of modern art as well as a vigorous show of contemporary artists. The central space will be occupied by 35 galleries. They include Londons renowned White Cube and Haunch of Venison − the latter exhibiting contemporary artists such as Damián Ortega, Rafael Lozano-Hemmer and Jorge Pardo − but also galleries that have shown a long-term commitment to Latin American geometric abstract art, like Durban Segnini, Sammer Gallery LLC and Arévalo Arte, Miami. The list includes a remarkable group of galleries from the Old World and the New (see annex). In any case, their presence will result in the expanded diffusion of the work of artists such as León Ferrari, or Mira Schendel, or Cao Guimarães. Similarly, the names of Eduardo Costa, Magdalena Fernández, Nicola Constantino, and Pablo Atchugarry, who will have their own solo shows under the auspices of Pinta London, will form part of this new chapter that the show contributes to the strong expansion of Latin American art. Pinta and its exclusive system of alliances with museums for the acquisition of artworks PINTAs Museum Acquisitions Program has been a decisive axis in the significant re-reading of Latin American art to which PINTA has contributed since its first New York show in 2007. Relying on a leading system of its kind, this program incentivates institutional commitment to incorporate works exhibited by participating galleries at the show. In this way, during the celebration of PINTA, a number of museums committed to modern and contemporary Latin American art are given the chance to enrich their collections through the incorporation of new artworks. Up to the present, $250,000 has been donated by PINTA to activate a matching funds program. The selected museums match the contributions made by PINTA, and these matching funds are used to purchase Latin American artworks exhibited at the show. During the past year, El Museo del Barrio in New York incorporated in to its collection works by Carlos Karcamo, Fanny Sanin and Milagros de la Torre; the Museum of Fine Arts, Boston, acquired works by Liliana Porter. The Tamayo Museum also selected a work by the aforementioned artist, in addition to one by David Lamelas. The Harvard Art Museum enhanced its collection through the acquisition of a work by Victor Grippo; the Pinacoteca do Estado de Sao Paulo acquired a piece by Hermelindo Fiamminghi; Tate Modern opted for Horacio Zabala, and the Museum of Fine Arts, Houston purchased a work by Pedro Costigliolo. Other museums, such as the Museum of Modern Art (MoMA), New York, have lent their support to this show that has changed the vision of Latin American art, and have acquired important pieces of art during the course of the previous three shows. 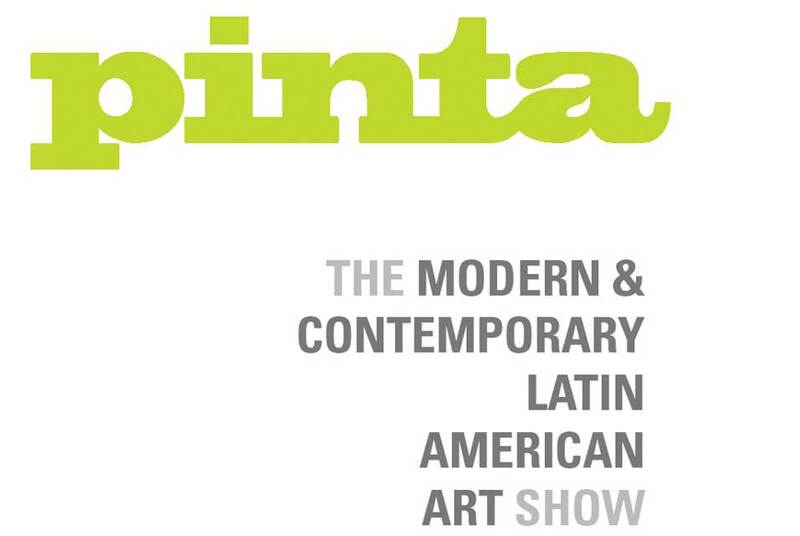 Pinta London will repeat the shows successful New York experience. The prestigious institutions that will participate in Pintas Museums Acquisitions Program are Tate Modern; the University of Essex Collection of Latin American Art; the Centre Georges Pompidou, Paris; the Museo Nacional Centro de Arte Reina Sofia, Madrid; the Museo de Arte Contemporáneo de Barcelona, MACBA and the Middlesborough Institute of Modern Art, MIMA, England. Besides the significance of museum acquisitions in the context of the unstoppable process of globilization of Latin American art, Pintas Museum Acquisition Program represents both an opportunity and a challenge for participating galleries. The transformation of the gaze on the nature of modern and contemporary Latin American art is inseparable from the broadening of its market. To participate in Pinta London implies being present at a decisive moment for the present and the future of the market for contemporary Latin American art, and for the re-reading of works which were essential during the construction of modernism.